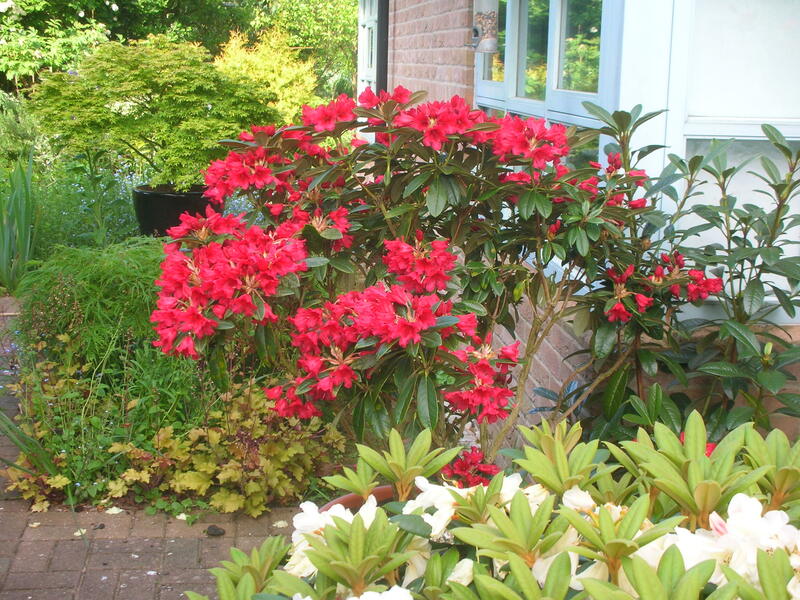 This entry was posted in Gardens and tagged Acer palmatum Trompenburg, Rhododendron Yakushimanum, rhododendron yakushimanum Cupcake, rhododendron yakushimanum Edelweiss, rhododendron yakushimanum Flava, rhododendron yakushimanum Morgenrot, rhododendron yakushimanum Percy Wiseman, rhododendron yakushimanum Titian Beauty by hilarycustancegreen. Bookmark the permalink. 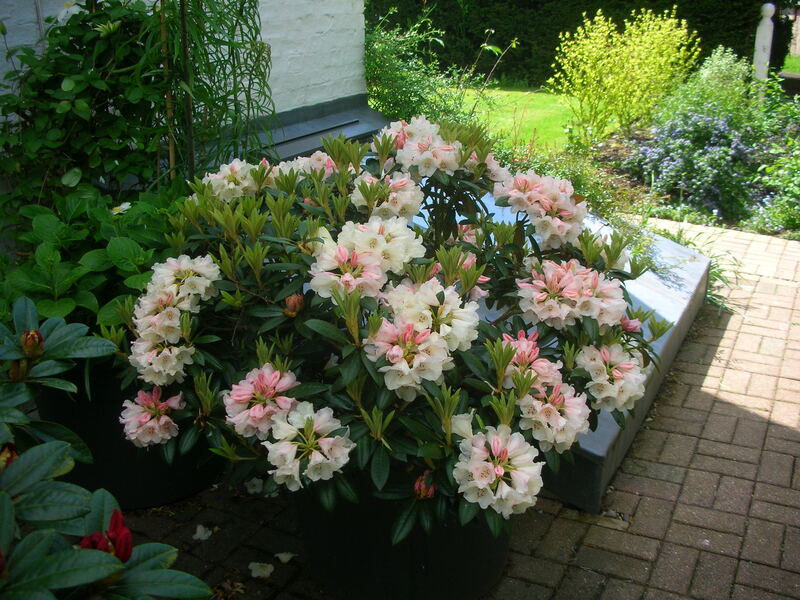 Your post made me wonder the origin of rhododendron. Such an unusual word. So, I googled it and found this: It’s origin is Greek. 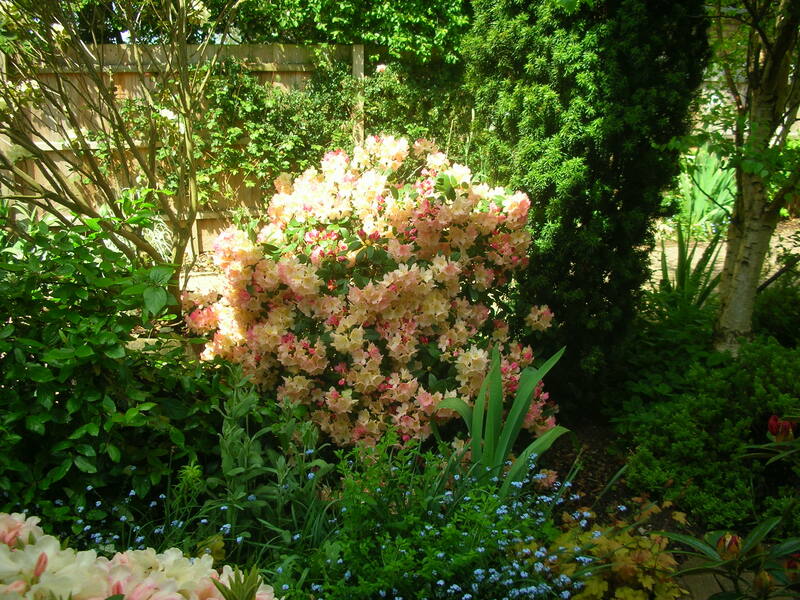 Rhodo (rose) and dendron (tree). A rose tree. I never knew that – I agree that this finding new stuff is high among the joys. These are gorgeous, Hilary. We have 3 in the garden. 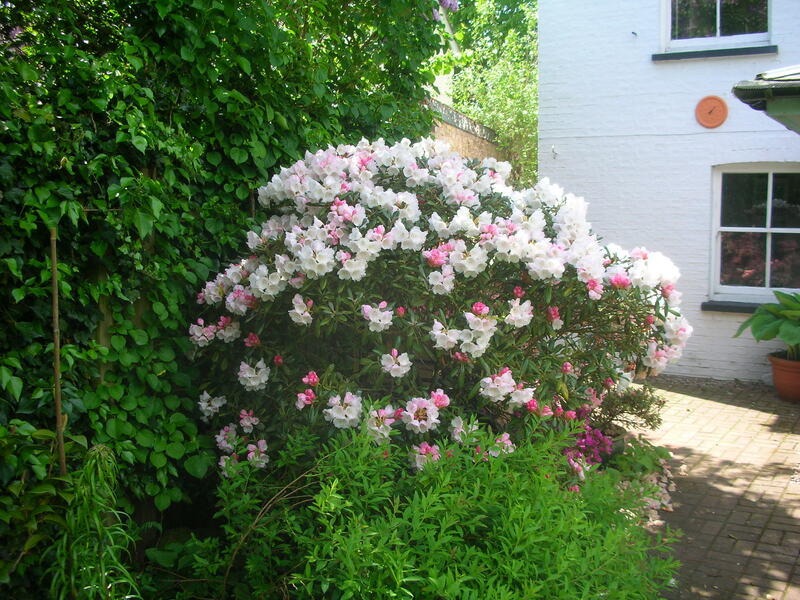 2 have flowered well this year but one hardly at all. 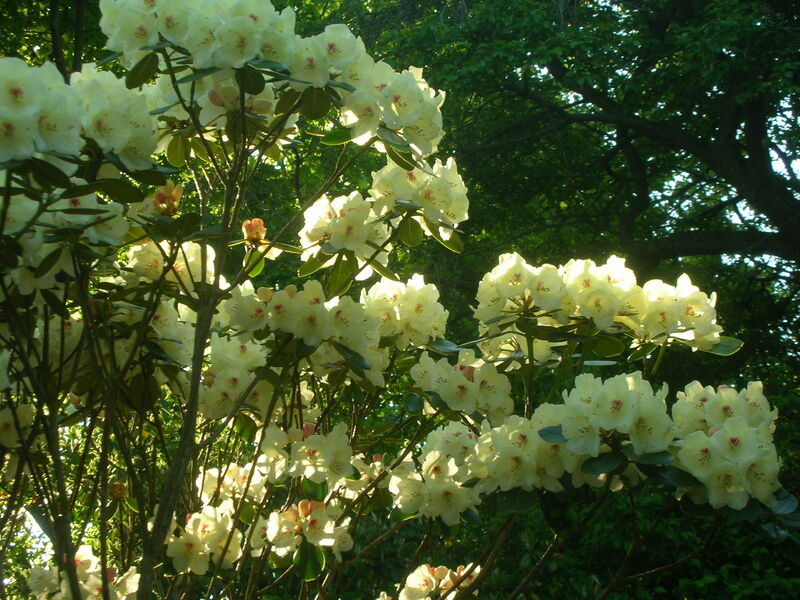 Do you know what makes a rhododendron flower well? Do we need to feed the laggard something special? 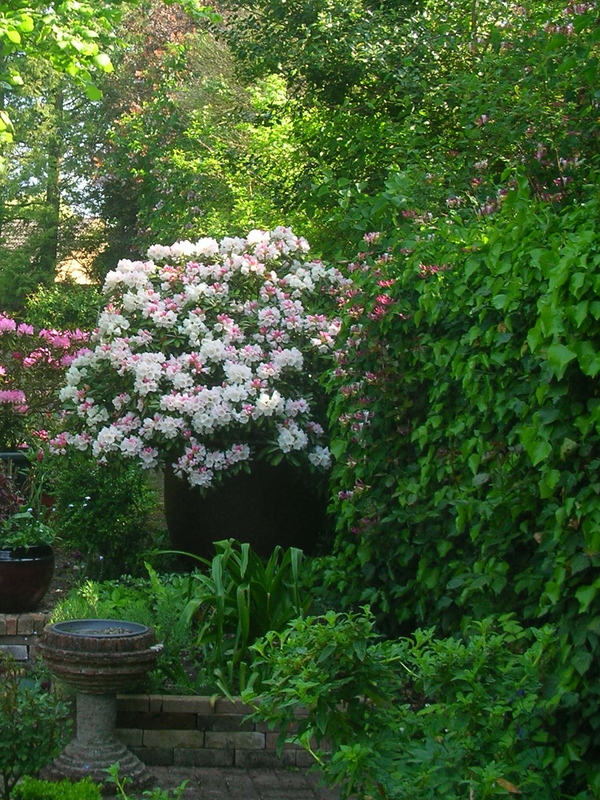 Ours are in pots because our soil is alkaline, so I do feed them (and top-dress and dose them nematodes against vine weevil) and water them. This is a dry area and they are all to big for their pots. In the last couple of years I have been cautiously pruning them too. Like the weather, only worse, I am inconsistent about these things, but they are definitely happier when fed. After ten to twenty years our relationship with each one is almost personal. We have no shortage of rain but it comes in very seasonal doses. We dress occasionally but inconsistently. I confess I am not sure what ph our soil is but they are just planted in the ground. I suppose I need a ph testing kit! Thanks for the guidance, Hilary. Even though winter is yet to start some jonquils are already flowering. Today a balmy 21C. The weather is all out of kilter. The nights are cool but nothing like a -5c or so. Lovely shots of the rhodos Hilary. It’s great to be in touch with all seasons across the globe. Thanks. I don’t think they turn anything down, at least not until they have tried it. Hilary, your garden is so luscious! Congratulations!!! Thanks, the weather has been kind this year… and there is always selective photography. Lol, Hilary! 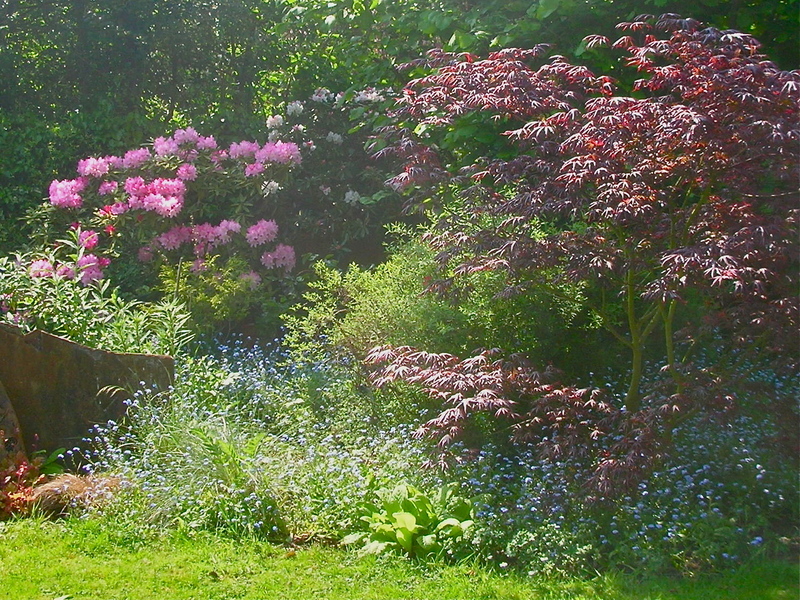 Your garden is GORGEOUS! No, no, an innocent who was foolish enough to insist that she LIKED helping. Actually she also did a magnificent job on pulling up the spent forget-me-nots too. I get lucky sometimes. Hmm, you might be right, our January visitors couldn’t resist the challenge when I said I wanted to move one of the giant tubs, but didn’t think it was possible – it got moved! Bravo ! 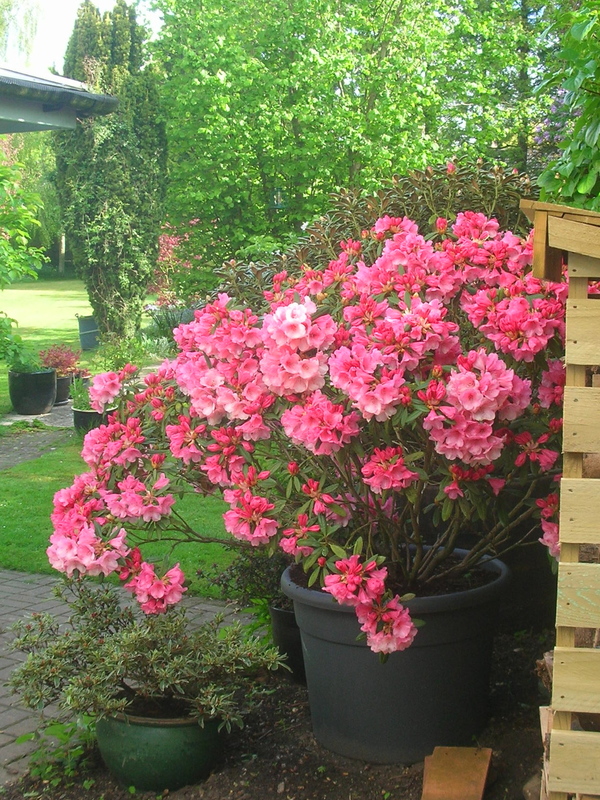 And I’m thrilled to know that these wonderful trees can be grown in tubs: it means that many others can be, as well.